In late 1940, Congress authorized a naval air fleet of fifteen thousand aircraft. The Marine Corps was allotted a percentage of these planes to be formed into 2 air wings with 32 operational squadrons. On the advice of Navy and Marine advisors returning from observing the war in Europe these numbers were doubled very soon after. It was under this expansion program that the 1st Marine Aircraft Wing was activated at Marine Corps Base Quantico, Virginia on July 7, 1941. The First Marine Aircraft Group which was the largest east coast aviation unit in the Marines at the time, became its first component. Although a new wing, it is considered an unofficial descendant of the Northern Bombing Group of World War I. Following the attacks on Pearl Harbor, the wing transferred to Naval Air Station San Diego, California on December 10, 1941 and then to Camp Kearny on December 31. 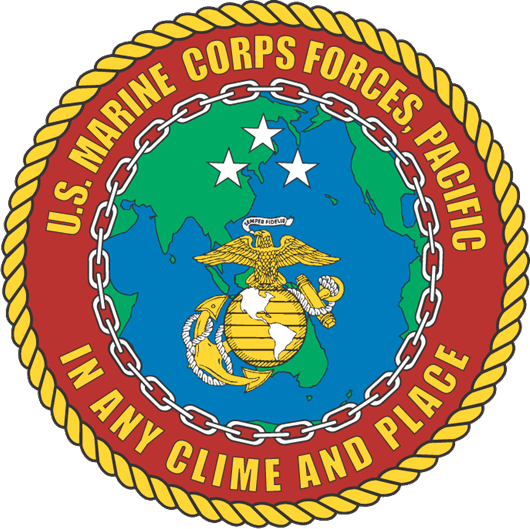 The first deployment for 1st MAW came in August 1942 when forward elements of the Wing arrived on Guadalcanal and made up the Cactus Air Force supporting the 1st Marine Division during the Battle of Guadalcanal. From April 1962, when HMM-362 flew into the Mekong Delta to set up operations at the Soc Trang airfield in, through April 1975, when helicopters of HMM-164 evacuated the last Americans from the US Embassy, Saigon. While early missions involved Marine helicopters providing logistical support for South Vietnam, this role quickly expanded when 1st MAW pilots and crewmen were called upon to perform their traditional role of providing close air support for Marine combat units as American involvement in the war escalated. Helicopters played an extensive role in air operations in Vietnam, as Marine pilots flew CH-34s and later CH-46s and CH-53s to transport Marines into landing zones near suspected enemy concentrations, and to evacuate the wounded following combat engagements. Helicopters, supplemented by C-130 transports where there were landing strips, were also used to re-supply Marines in the field at remote outposts. Other Marine pilots, flew UH-1E Hueys, and AH-1 Cobras. Many of these choppers provided reconnaissance and armed air cover for combat air operations. The build up of American troops resulted in the deployment of the Marine Corps' attack and fighter aircraft including the Douglas A-4, and the McDonnell F4B, as well as the maintenance, ordnance, and other support personnel necessary. ↑ Rottman USMC WWII OOB, p. 430. ↑ Sherrod History of Marine Corps Aviation, p. 438. ↑ Field Jr., James A. (2000-06-21). "Part 2. March 1952—February 1953: Stalemate". History of United States Naval Operations: Korea. Department of the Navy - Naval Historical Center. http://www.history.navy.mil/books/field/ch12b.htm. Retrieved 2007-12-19. ↑ Mersky USMC Aviation, p. 191. ↑ "Brief History of the Marine Corps in the Korean War". United States of America - Korean War Commemoration. Marine Corps History and Museums Division. http://korea50.army.mil/history/factsheets/marine.shtml. Retrieved 2009-04-22.